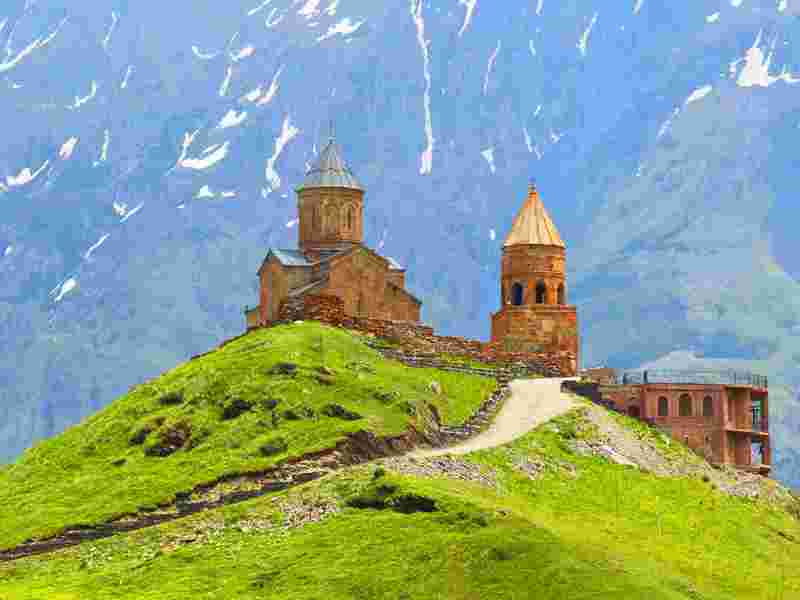 This budget tour gives you a possibility to visit two the most picturesque countries of Caucasus: Georgia and Armenia. 3 days in Georgia and 3 days in Armenia. The price is given for a person in DBL sharing room 3* hotels. City tour includes walking all round the old city quarter of Tbilisi. Take a stroll along Leselidze (Kote Abkhazi Street) which is most popular street for tourists. This area is an excellent example of religious friendship between different forms of worship. Here you can find the Georgian Orthodox church, Armenian Church, Jewish Synagogue, Roman Catholic Church and even Islamic Mosque. Day 3 Transfer to Armenia - Yerevan City Tour. Yerevan is the pink “pearl” of Armenia. This beautiful European city is mostly built by different shades of pink stone called “tuf” quarried in Armenia. Founded in 782B.C. Yerevan is reputedly one of the oldest cities in the world to have been continuously inhabited. The city is located under the gaze of the biblical Mount Ararat where the Noah’s ark landed. We start our exploration with the Republic Square with it magnificent buildings enhanced by singing fountains. Walking down the Abovyan Street, one of the oldest streets in Yerevan which was on the Silk Road,we continue to Northern Avenue, Opera House, Cascade, Grand Bazaar. A cultural showcase not to be missed is Matenadaran, one of the world’s largest and oldest repositories of Armenian manuscripts. Laterwe’ll visit the most impressive museum of Armenia – Sergey Parajanov house museum, one of the greatest figures of 20th-century world cinema.